Château de Chenonceau has beautiful curved slate roofs. 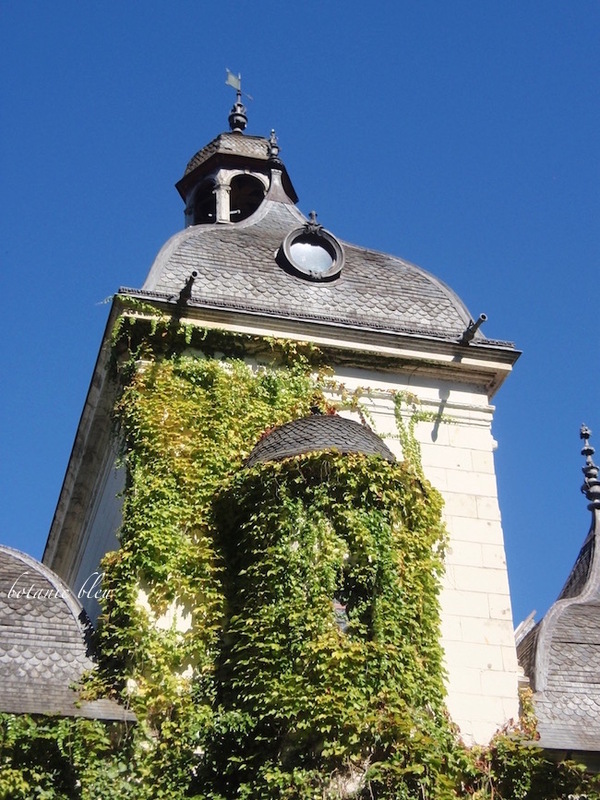 Atop a curved roof of the Royal Stables at Chenonceau is a slate cupola. Nothing more authentic French Design than a 16th century French château in the heart of the Loire Valley. 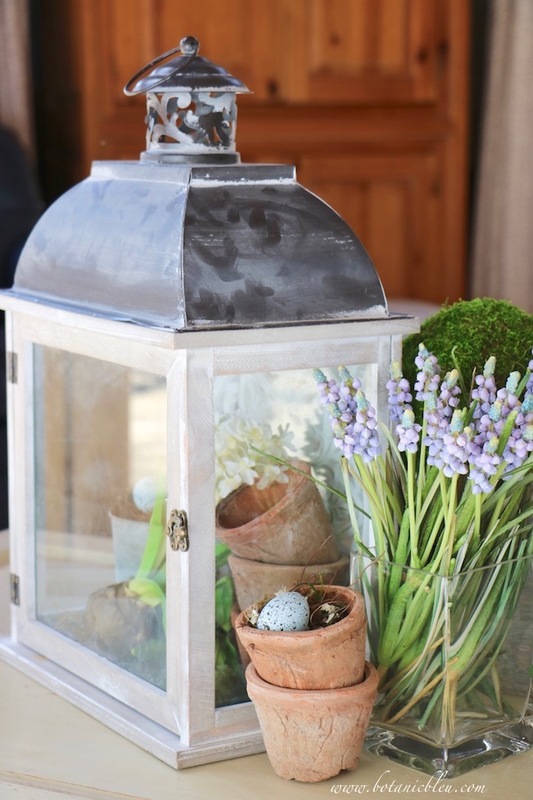 When I found a beautiful new glass and wood lantern this spring, I knew immediately it would add great French style to a spring living room. The white-washed wood with its intricate open design is bright and airy for Spring and will allow candlelight to flicker through. The lantern has beautiful curves in its roof reminiscent of the angles of the curves on the Chenonceau stable roof. The proportions are perfectly French style. 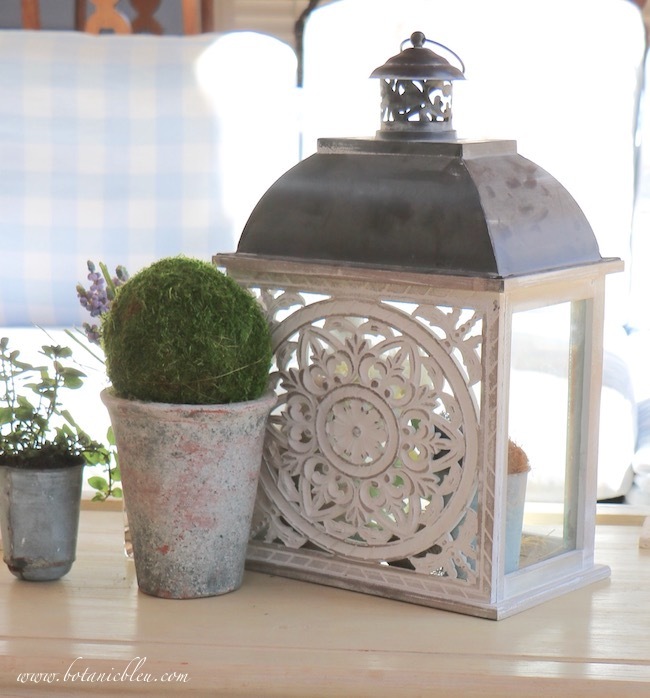 Gris couleur (gray color) is another perfectly French style for the lantern's roof. The roof is not gray slate, but it is gray metal. With its elaborate curved open pattern the lantern's cupola reflects elements of Chenonceau's cupola design. A curved solid rooftop for the cupola, an open design, and finial on top are the silhouette for the Chenonceau cupola. Do you see the resemblance? Is the lantern's roof a perfect reproduction of the Chenonceau roof? No. Design in a particular style, French Country in this example, does not require exact replication. What is important is capturing the essence of the style. 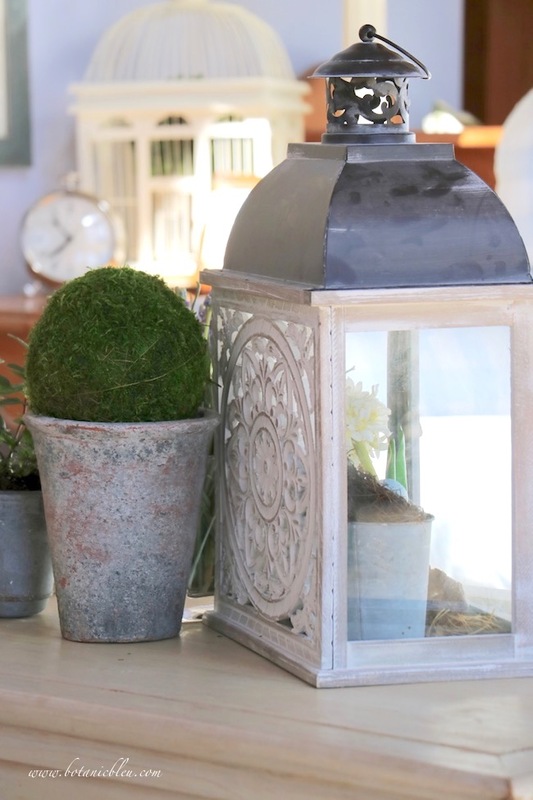 The unexpected affordable source for this charming French Design lantern? Kirkland's. If you have not been in Kirkland's this Spring, you should drop in to see several things that are French Design. 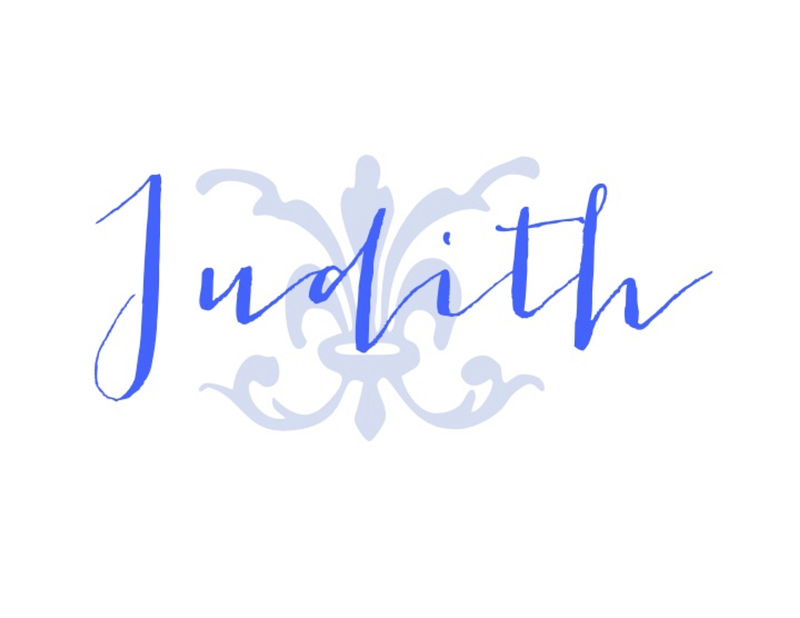 No affiliation with Kirkland's, just sharing a source for affordable French-inspired decor. 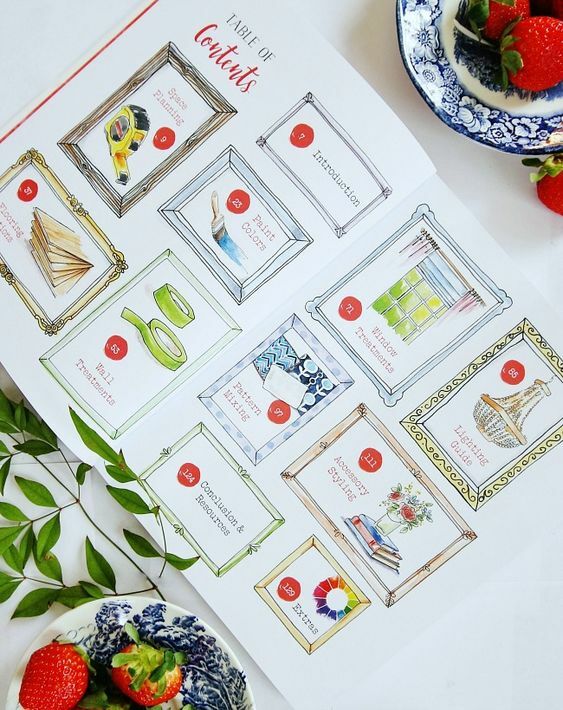 I discovered a collection of French-inspired designs when I went to see KariAnne Wood for the launch of her new book, THE DIY Home Planner, at the Fort Worth Kirkland's store. Of course, KariAnne shared lots of good advice for styling a bookcase. Of course, there was lots of laughter between KariAnne and her audience. Of course, KariAnne signed her new book filled with great home planning advice... and beautiful watercolor illustrations. I love all those watercolor illustrations! You can buy KariAnne's book from Kirkland's all over the USA or you can order THE DIY Home Planner online. What could be better than to find KariAnne's THE DIY Home Planner and French Design home accents all in the same place? Don't miss the latest from Botanic Bleu. Use the form in the sidebar to sign up to get every post delivered right to your email inbox. 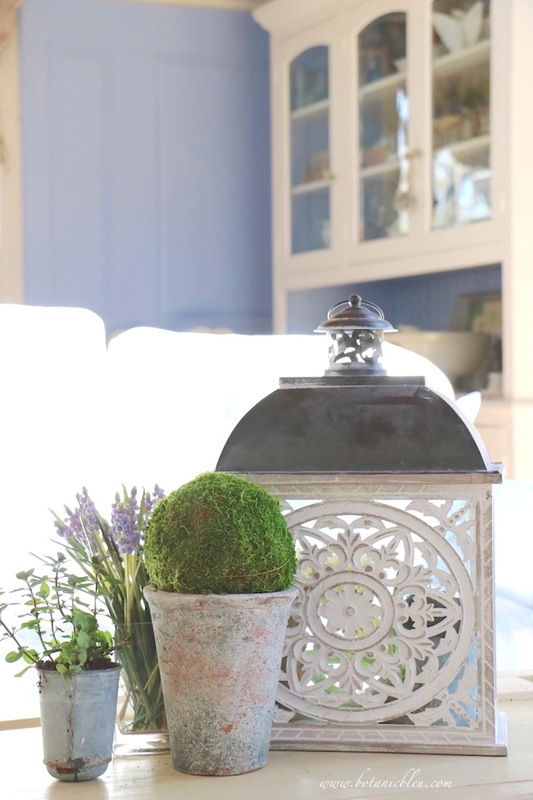 including close-ups of how I styled the inside of the French Design lantern from Kirkland's. The only time I was in France I visited Château de Chenonceau. I love the lantern, which I understand you found at Kirkland's. What did you find at Home Depot? What I'm really lusting after is that cute little zinc cup. I'm assuming you purchased that in France, but if you ever find anything similar domestically, I hope you'll let us know. Love it. 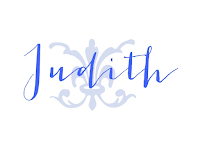 Perfectly French.Thanks for linking to Keep In Touch.